For this featured #SciFund Challenge project, we have Ancient Roman DNA by Kristina Killgrove. This project is one of the standout successes of #SciFund. As of this writing, Ancient Roman DNA has blown right through its target of $6000 and has now raised $8616. Incredible. What is it about this research project that is attracting so much attention? It starts with a great idea. Kristina is an anthropologist at Vanderbilt University. She is using modern biological methods to unlock the secrets of people who died two-millennia ago in Ancient Rome. And not just any people. She is unearthing the voices of those forgotten by history: Roman slaves. The elites that chronicled the history of Rome didn’t write much about the slaves that kept their Empire running. But the story of those slaves can still be told from their unearthed skeletons. 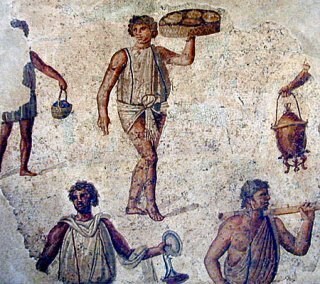 Here’s one basic question to be answered: where did the slaves of Rome come from? There are a lot of possible locations. By the first century AD, the Roman Empire encircled the Mediterranean Sea and stretched out to lands far beyond. Through her #SciFund project, Kristina will be discovering the origin of these forgotten Roman slaves. She will be extracting DNA from their skeletons and then using that genetic information to determine where they came from. Will you help these long-dead slaves to finally have their voice? Check out Ancient Roman DNA.